Internationalization and innovation form the two pillars on which the growth of many successful companies is based. Economic globalization is driving all agents in the production system to expand their activity into new areas. Globalization is behind the creation of transnational partnerships, and provides opportunities to exploit competitive advantages in new markets. Agreements and alliances are indispensable in these processes, and require resources in order to identify partners, negotiate, draw up and implement agreements successfully. For a multinational or large company operating in global markets, internationalized innovation is part of the work philosophy. But what happens in small and medium-sized companies? There are ways to help SMEs to access this global reality. One way is through initiatives promoted by agencies such as ACCIÃ“and by organizations including the ICEX, the CDTI and chambers of commerce like the Barcelona Chamber of Commerce. Opportunities may also arise in more everyday processes such as participation in and attendance of trade fairs in the sector, involvement in trade missions, specialized information in the press, and contacts made through suppliers, distributors and clients. A few days ago, CIT UPC had the opportunity to take part in an event organized by FEDIT and ICEX on: Spain-Peru Technology Day, “Cooperation for Innovation in energy, sustainability, and recovery and marketing of industrial waste”,which was held in Lima on 2 December. 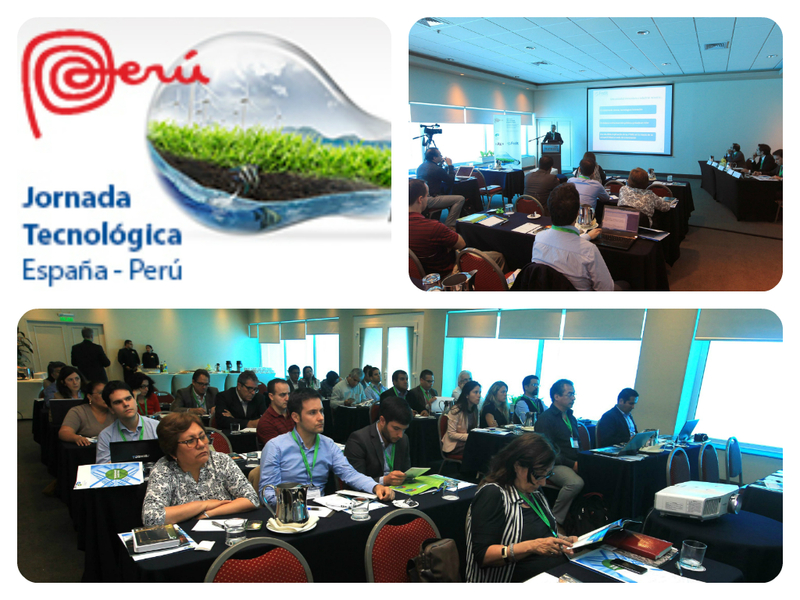 There, we had the opportunity to present some of our technological capabilities to Peruvian companies in the energy, environment, sustainability and climate change sectors. Some of the technological developments and projects we presented were water management and treatment systems, systems for reducing the energy costs of industrial processes and technologies related to acoustics and vibration. The experience was very positive, as there are real opportunities to collaborate and apply our technological potential in markets that are expanding rapidly. In these markets, local companies need to acquire innovative technologies to meet new demands and challenges associated with growth, as well as to comply with new regulations, address more complex, more expensive demands, and face competition with other companies that have competitive advantages. For a technology centre like the CIT UPC, the prospect of contributing through innovation to the development of emerging countries such as Peru is a challenge. It involves working with Peruvian companies, universities and technology and research centres. We must join forces and establish permanent links between companies and universities from which everyone benefits. This is both a challenge and an opportunity. As in the business world, internationalization offers new spaces in which to grow and improve, in which the value of knowledge and knowledge transfer increases dramatically and contributes to spreading the values on which our activity is based: efficiency and sustainability. This entry was posted in Sin categoría and tagged CIT UPC, Innovation, Perú, R&D, Sustainability on 12 December, 2014 by www-citupc.